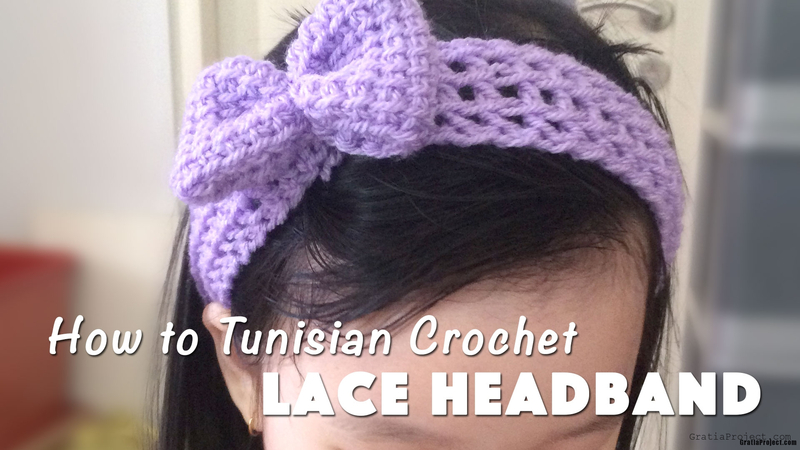 This is tutorial about how to Tunisian Crochet lace headband. Tunisian (or Afghan) Crochet makes a beautiful and squishy texture. 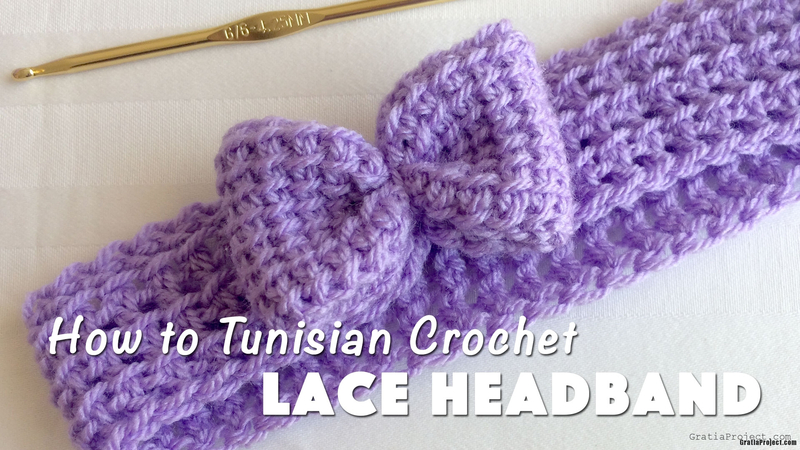 Learn how to Tunisian crochet and make simple lace headband that can be a special gift for your loved ones. In this tutorial, I used Stylecraft Special DK yarn (color: Wisteria), and Boye Crochet Hook G-6/4.25 mm. Remember that in Tunisian crochet, right side of your work is always facing you. You will go back and forth on your work and NEVER TURN. Step 1: Start from 2nd ch from the hook, pull up a loop in each chain. Keep all 11 loops on hook. Step 2: Going left to right. Yo, pull through first loop. Next, yo and pull through two loops, continue until there is only one loop left on the hook. Step 3: (Yarn over, skip a vertical bar, pull up a loop in next vertical bar) repeat. Total 11 loops on hook. Step 4: Going left to right. Yo, pull through first loop. Next, yo and pull through two loops, continue until there is only one loop left on the hook. Repeat step 3 & 4 to desired length. Cut the yarn, leaving an 5 inches tail. Using tapestry needle, sew both sides and add the bow.